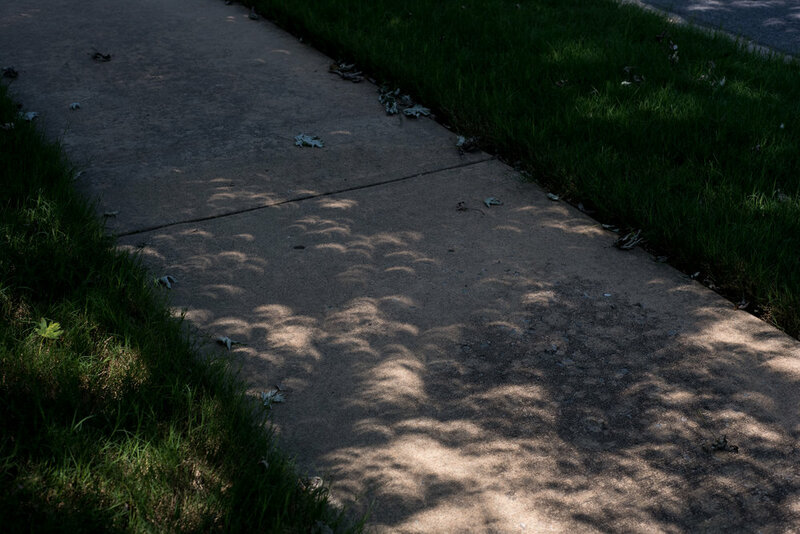 I'm sure I looked pretty silly standing out front taking pictures of our sidewalk, but the little half moons, then crescent moons then black spots, were fascinating to watch. And when the gentle breeze blew through the maple tree's branches, the shadows would dance and shimmer and flow down the concrete like a river. It was the most beautiful thing I'd ever seen.